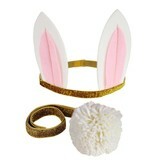 This adorable dress-up kit is perfect for little ones this Easter, or any occasion where they want to hop around! 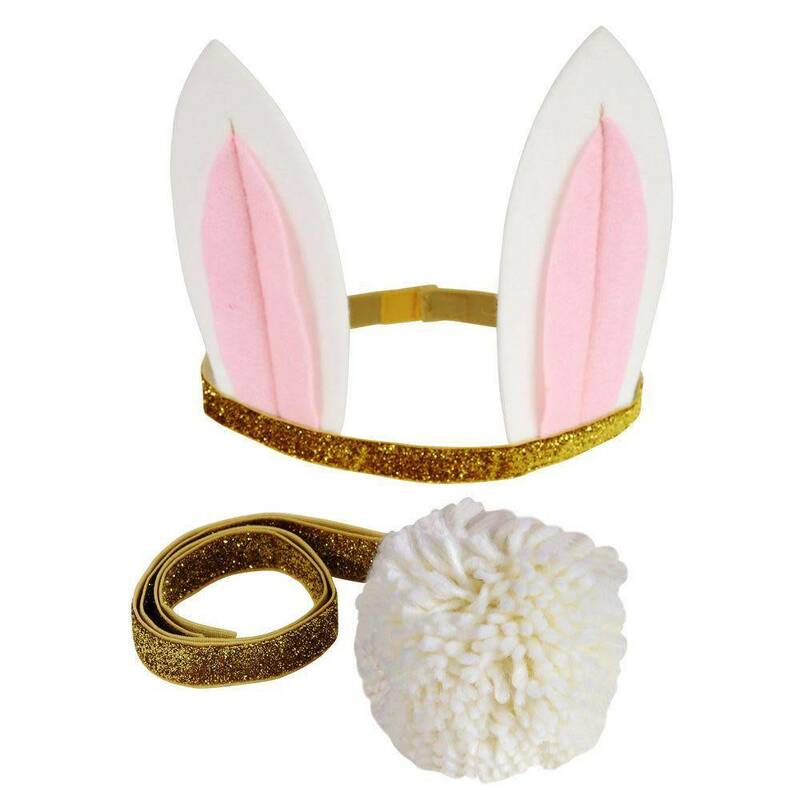 Features gorgeous felt bunny ears and a cheeky pompom tail. 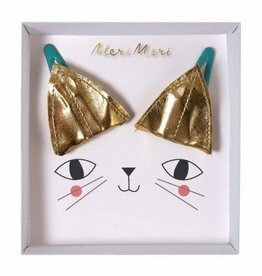 Both are secured with gold glitter elastic with velcro fasteners.